"Today's day and age has gotten so crazy, everything. You know, all this stuff going on. Shoot, man, Obama wants to take our guns from us and everything, you've got this kind of stuff going on. It's a little bit insane for me." 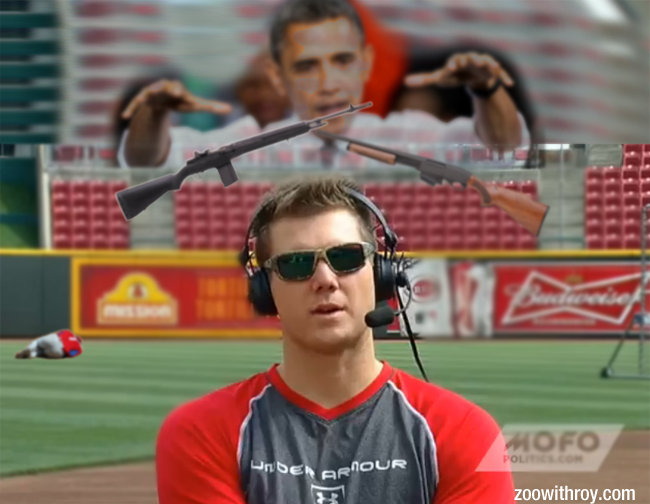 Well, it turns out Paps was right-- Obama really did try to take his guns! WATCH OUT! HE'S BEHIND YOU! POTUS 44 WITH THE REAL SAVE!!!! THANKS, OBAMA. 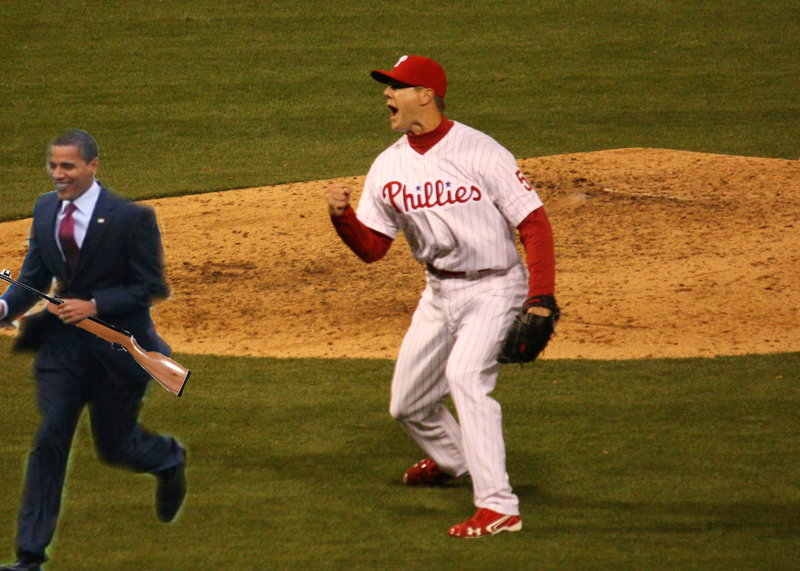 Was that after Papelbon shot Michael Martinez? Love Mini-Mart dead in the outfield. Please tell me you got a .gif of some of the faces he made in the 9th inning tonight!